The mission of the Woonasquatucket River Watershed Council (WRWC) is to encourage, support and promote the restoration and preservation of the Woonasquatucket River Watershed as an environmental, recreational, cultural, and economic asset of the State of Rhode Island. Our long term goals are a swimmable fishable Woonasquatucket River, connecting our Greenway to other transportation corridors throughout RI and beyond, and restoring the land and water resources in our watershed, especially where resources have been historically impaired and need is greatest. Our major achievements are 1) Leveraging $14 million as a federal Brownfield Showcase Community, 2) restoring 62 acres of parkland, 3) restoring a Brownfield and abandoned parks into positive community assets, 4) developing Riverside Park at a brownfield site featuring Providence’s first off-road bike path community gardens, playgrounds, a canoe launch, a community bike shop, a stage and playing fields, and 5) successfully restoring passage for native migratory fish at the five four dams on the lower Woonasquatucket, an urban industrialized river. 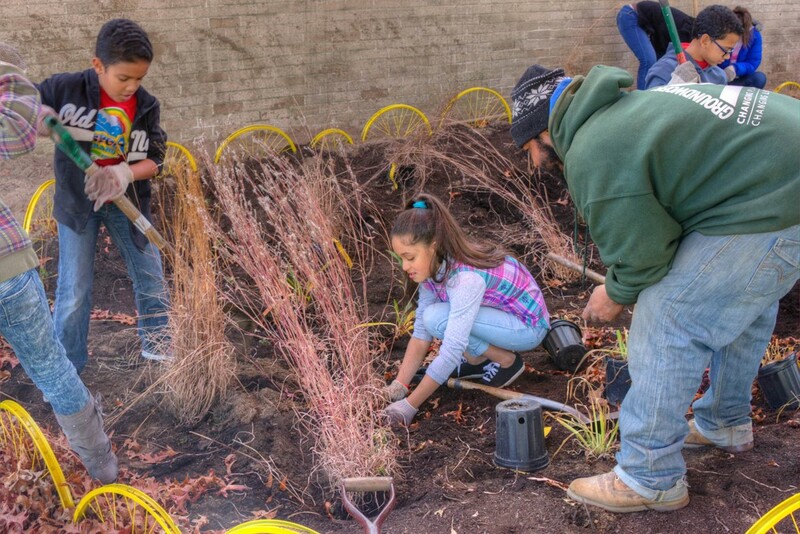 Other programs include stormwater management, water quality monitoring, superfund site remediation, and educational programs for youth to adults. Monitoring Fish Communities to Prioritize Restoration Activities: In 2012, the Woonasquatucket River Watershed Council worked with the Wood-Pawcatuck Watershed Association and the Rhode Island Department of Environmental Management to create a fish community monitoring program in urban rivers of the Wood-Pawcatuck Watershed. Community members were engaged in a citizen science program in which the partners established a first-ever electro-fishing monitoring program for volunteers. The program – part of the Watershed Counts initiative to protect Narragansett Bay – created urban river habitat assessments to inform water quality restoration actions and to provide water quality information to the public. Urban Flooding and Equity for Vulnerable Communities Collaborative: Since 2014, the WRWC has been a part of the Rhode Island Green Infrastructure Coalition (GIC), working to further green infrastructure initiatives in partnership with many local organizations, businesses, governments, and communities. In 2017-18, WRWC and Groundwork Rhode Island partnered to bring equity into green infrastructure planning by forming an Equity Workgroup for the GIC and setting goals for community engagement.